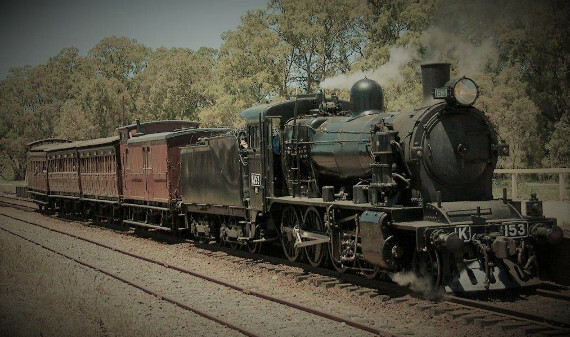 Join us for a memorable ride on Victoria's oldest railway carriages. Over 130 years old, these relics from a long past era are being operated especially for visitors to the Heritage Festival. Experience rail travel of the 1880's when these quaint carriages were the latest in speed and comfort. Travelling on this train is indeed a trip back in time. This is the real thing, ancient relics from the 1880's travelling on an early branchline with original infrastructure. Starting from Castlemaine's imposing railway station our steam train takes you to Maldon where you have 3 hours for lunch and to explore the National Trust declared "Notable Town". Running on Saturdays only especially for the Heritage Festival! They were restored in 1954 for the Centenary of Railways and since then used on only a handful of special occasions. 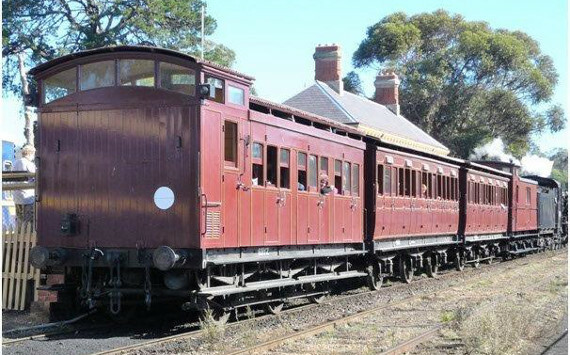 Built to an even earlier design they are the oldest unrebuilt passenger carriages available for use in Australia. We leave Castlemaine Station at 11.30am and return you to Castlemaine at 4.00pm giving you 2.5 hours to have lunch at one of the charming pubs or cafes in Maldon as well as explore the quaint little township. The train journey takes one hour. Make it a full day by travelling from Melbourne on connecting fast V/line services. Connecting fast V/Line train leaves Melbourne (Southern Cross) at 9.02am and gets you back to Southern Cross at 6.20pm. Use your MYKI card.